A new plan on broadband service reportedly being crafted by the Federal Communications Commission head has been criticized by open Internet advocates who say it still fails to deliver real net neutrality. The Wall Street Journal reported Thursday on FCC Chairman Tom Wheeler’s “hybrid approach,” which is partly based on proposals from the Mozilla Foundation and the Center for Democracy and Technology. The plan now under consideration would separate broadband into two distinct services: a retail one, in which consumers would pay broadband providers for Internet access; and a back-end one, in which broadband providers serve as the conduit for websites to distribute content. The FCC would then classify the back-end service as a common carrier, giving the agency the ability to police any deals between content companies and broadband providers. 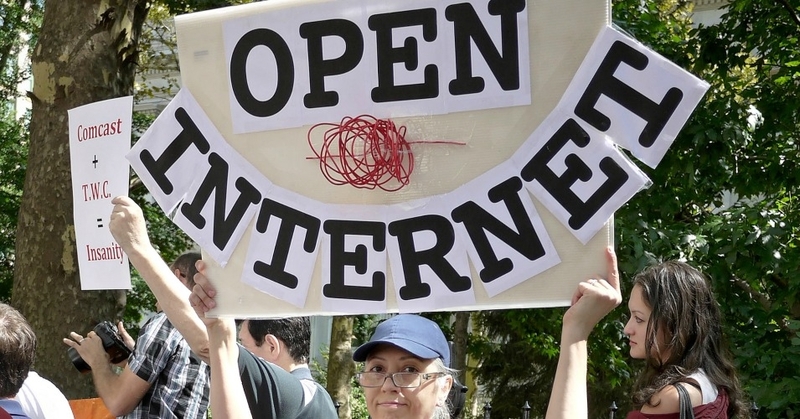 “This Frankenstein proposal is no treat for Internet users, and they shouldn’t be tricked. No matter how you dress it up, any rules that don’t clearly restore the agency’s authority and prevent specialized fast lanes and paid prioritization aren’t real net neutrality,” stated Free Press President and CEO Craig Aaron. “Chairman Wheeler can’t wave a wand, change the law, and pretend to break the Internet in two. But these schemes suggest just that: dividing the Internet to protect corporations sending information, but not the people receiving it,” Aaron continued. Free Press also warns that the proposal could face legal challenges.